Residents of Australia are used to avoiding dangerous wildlife. Now in addition to sharks, poisonous spiders, and cassowaries, Australians can include crows on their list of animals to look out for. As the Australian Broadcasting Corporation reports, incidents of hostile crows swooping over passersby are on the rise. The behavior is common in magpies around nesting season, but it’s rarely observed in crows. Dr. Darryl Jones, a behavioral ecologist with Griffith University in South East Queensland, told ABC he believes the crows are copying the actions of their avian neighbors. "There'll be chicks in the nest, they've decided that the people walking past are a threat," he said. He’s been able to witness the phenomenon firsthand, thanks to a nest of native Australian Torresian crows located on the building where he works. He said, "Now I walk outside my own building and get attacked by the bloody crows." The increased crow swooping that’s been reported throughout Gold Coast, Queensland could possibly be a result of urban development. As humans encroach on crow territory the birds become less fearful of our presence, emboldening them to attack. 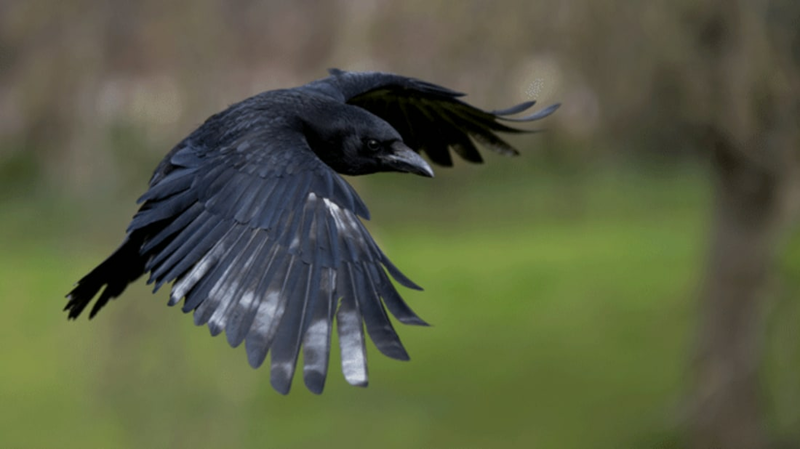 Crows only spend about three weeks raising their young, so residents can look forward to the aerial onslaughts ending soon. But people shouldn't take that as an excuse to antagonize the animals while they can: Crows remember the faces of people who wronged them and enlist their friends to help them enact vengeance. So if you make yourself the target of a crow grudge now, you may end up regretting it next year.